Earn $19.92 in Rewards credit (1992 points) What's This? 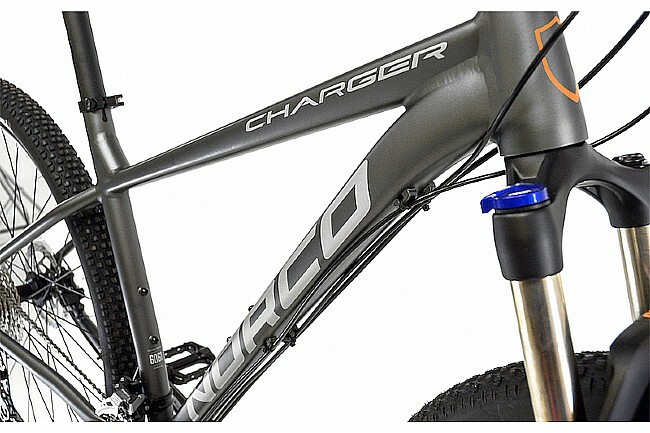 Norco Bicycles’ 2018 Charger 2 Mountain Bike features a lightweight and sturdy 6061 alloy XC frame and a RockShox 30 Silver Solo Air TK fork with 100mm of travel. Available in 650b or 29” wheel options, the Charger 2 is designed to adapt to riders of varying sizes. 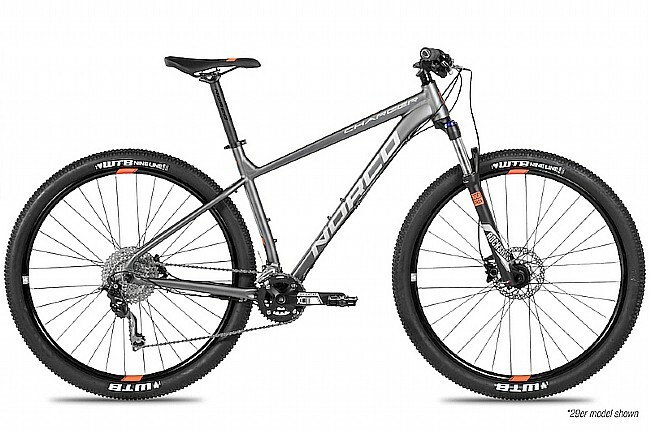 The 2x10 Shimano Deore drivetrain offers durability, consistency, and versatility; it’s ideal for beginner mountain bikers interested in skill-building and gaining fitness while ripping it up out on the trails. Frame: Charger 6061 Alloy XC Frame w/DB TT & DT. Fork: RockShox 30 Silver Solo Air TK 100mm. Shifters: Shimano Deore 2spd (front); Deore SL-M6000 10spd (rear). Front Derailleur: Shimano Deore 2spd. Rear Derailleur: Shimano Deore M6000 Shadow Plus 10spd. Crankset: Suntour XCM 36/22 10spd. Cassette: Sunrace CSMS2 10sp 11/42. Brakeset: Shimano M365 Hydraulic 160mm (front & rear). Handlebar: X6 Alloy 750mm x 31.8. Stem: Alloy 60mm/70mm x 31.8. Wheelset: WTB MX21 29"/27.5" DW Rims. Rims: WTB MX21 29"/27.5" DW Rims . Hubs: Joytech D341DSE Alloy Disc QR (front); Joytech D342TSE-HL Alloy Disc QR (rear). Tires: WTB Nineline 29"x 2.25/Beeline 27.5" x 2.25 (front & rear). Manufacturer Warranty: Crash replacement program; limited lifetime warranty for certain models.